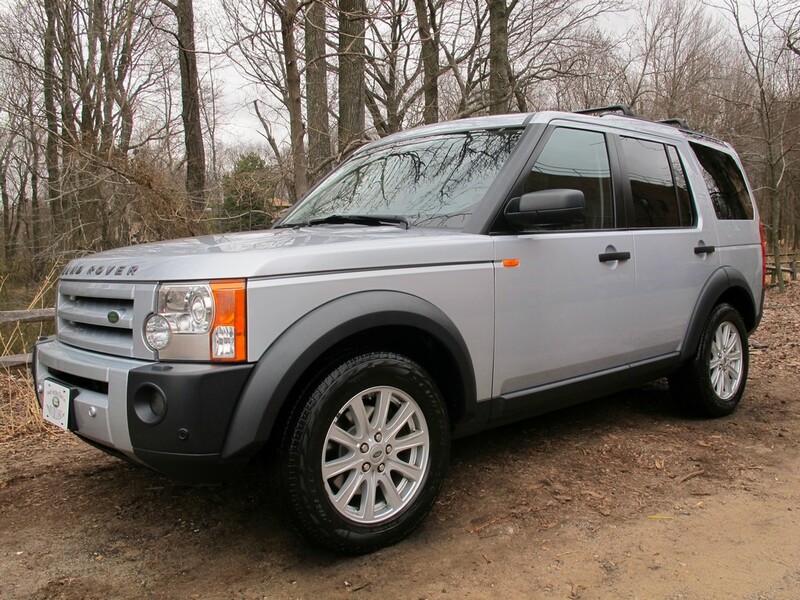 2007 LAND ROVER LR3 HSE ... 89,562 Original Miles 7 PASSENGER Engine : 8 Cyl, 4.4L Transmission : Auto Vin : SALAE25497A421273 Exterior : Silver Interior : Black Body Style : SUV This Fully loaded LR3 has Automatic Transmission, Power Brakes, Air Suspension, Bi-Xenon Headlights, Hill Descend Control, Leather / Power / Heated Front seats, Heated Rear Seats, Fog lights, Front and Rear Parking Assistance, Power windows, Power door locks, CD / Tape / Sirius Satellite Radio / AM / FM, Bluetooth Connection, Navigation, Genuine Wood trim, Genuine Weather Mats, Dual Power Sunroof, Dual Zone Front Climate Control, Rear Climate Control, Console Cooler Box, Factory Roof rack with Locks, Original Books including Original windows sticker. Engine is in Good Shape, does not smoke, does not leak, nice and quiet. Transmission feels Perfect, shifts without any problems, without delay, and without noise. Air Suspension is in Excellent shape, Land Rover tracks nice and straight. There is No Evidence of any Electrical problems. The exterior is in Excellent shape for a 2007. ( !!! Check out the pictures !!! ). Leather Seats, Carpet Floor and Glass are all in Great shape ( !!! Check out the pictures !!! ) Interior of this car is Nice and Clean ( !!! Check out the pictures !!! ). This SUV has 4 matching Tires that are mounted on Good straight 18 inch rims. It will be sold with a clear title and it will be sold as-is, where-is.